Get ready for some scrumptious baby shower menu ideas! Okay, fess up - we all go to events such as baby showers, weddings, parties, etc. with the thought of eating some great food dancing in our heads. This may not be our main reason for attending, but it is always a nice incentive! Below are tons of great baby shower snack ideas and recipe selections, designed to make your baby shower a success! - You will also find a menu for baby shower food ideas on a budget. 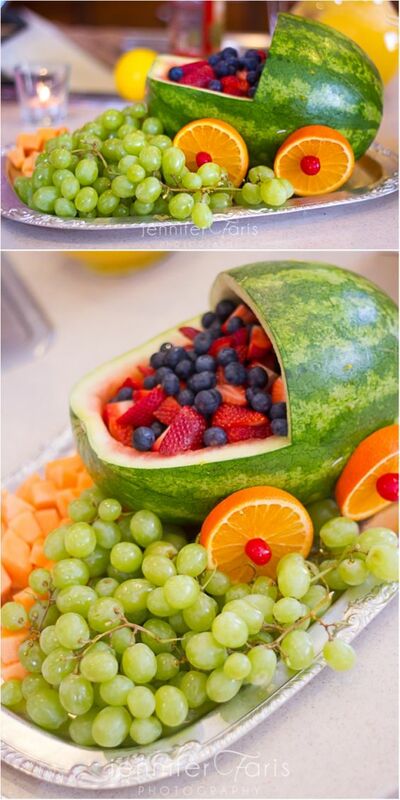 A popular baby shower menu idea is a baby shower fruit tray! There are so many fun ways to make it adorable! One idea is to cut a into the watermelon to make a baby carriage. Hollow out and fill with fruit. You can also use mini cookie cutters to cyt fruit into fun baby-themed shapes such as bottles, stars, hearts, etc. Below is our official baby shower food list for planning the perfect menu! Click on the following links to be whisked away to fabulous baby shower recipes! Make your guests happy by filling their tummy's with some tasty baby shower food! Remember to keep it simple. You wear many hats as the baby shower hostess. The last thing you want is to be stuck in the kitchen cooking all day. Most of our menu ideas can be made the night before and easily assembled the morning of the shower. Look below ... I made some FREE printable recipe cards for you! Enjoy them! I made these free printable recipe cards just for you! Click on the picture above to easily download and print - comes in green, pink and blue - all 3 colors are included. 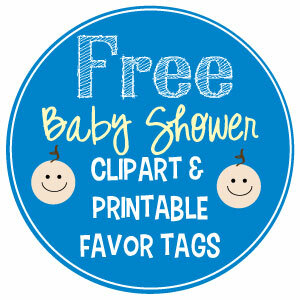 1) Print them out onto white card stock • cut out • tuck in invitation and have guests bring their favorite easy-to-make recipe for the new mom. 2) Or write down your favorite cookie recipe and attach the recipe cards to homemade cookies that have been bundled in a cute bag - hand out to guests as baby shower favors. Chocolate Dipped Pretzels: Dip pretzels (any shape or kind that you choose: rods, twists, sticks, etc) into white chocolate (CandiQuik is the easiest to work with), Sprinkle with colored sugar or themed sprinkles, lay out to dry on waxed paper. These are so yummy and really make a cute presentation! You can even color the white chocolate with a bit of food coloring to match the baby shower theme! Chocolate Dipped Oreos: Dip Oreos into melted chocolate and follow the instructions for the pretzels! You can even insert lollipop sticks or skewers into the Oreos (through the side up into the creme filling) and serve on sticks. Poke the sticks into a block of floral foam that has been covered in cute paper! 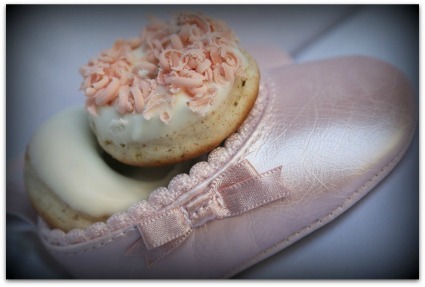 Baby Shower Sugar Cookies: Make sugar cookies that match the theme of the baby shower. 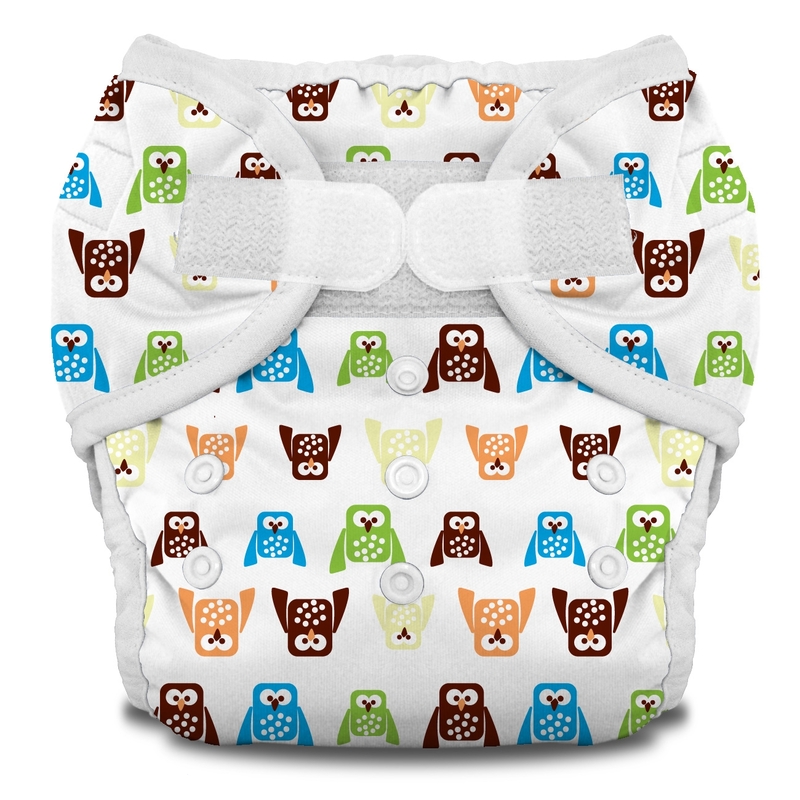 Frost and bundle up into cute bag and give away as a simple and affordable baby shower favor that everyone will love! Baby Shower Sandwiches: Another quick and easy baby shower menu idea is to cut sandwiches into baby-themed shapes using cookie cutters. (We once hosted a "Moon & Stars" baby shower and cut the sandwiches into moon shapes - then we cut little stars out of colorful scrapbook paper, attached them to toothpicks and poked them into the sandwiches. It was so simple to do and made such a cute presentation! Easy Baby Shower Appetizers & Finger Foods: Toss grape tomatoes and mini mozzarella balls or slices into olive oil and balsamic vinegar and then place them onto a skewer adding basil leaves. Start with cheese, then basil, then tomato - and repeat. Drizzle with a bit of olive oil and balsamic vinegar. These are so easy to make! Guests love these and they will all be gobbled up! Bacon Wrapped Water Chestnuts: These are so yummy! Even those that are not water chestnut fans will love them! Start off by frying up some bacon (until it's about half way done) and wrap around water chestnuts that have been lightly brushed with BBQ sauce. Secure with a toothpick and then place in a 350 degree oven until the bacon is completely cooked. You can soak the toothpicks in water ahead of time so they don't burn while in the oven. These are just a few quick baby shower menu ideas to add a whole new level of cuteness to your event! Dirty Diaper Baby Shower Recipes: we know, yuck! 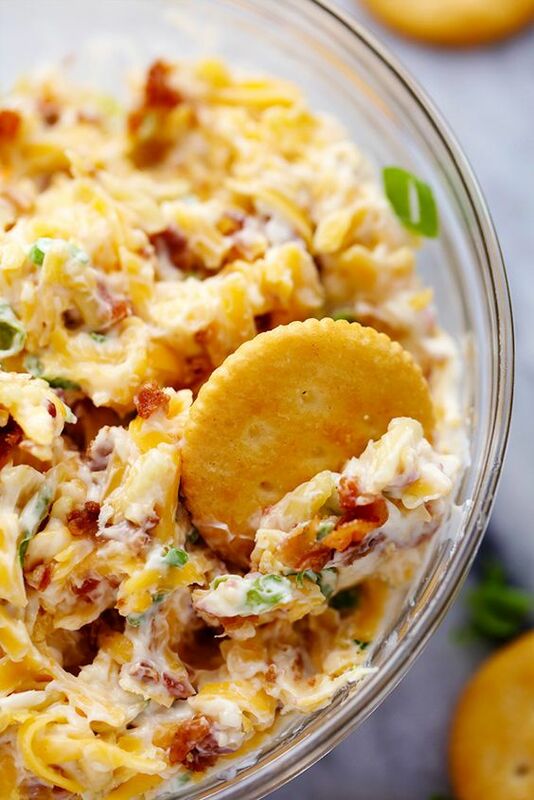 But these crazy recipes are so popular and funny - your guests will be sure to love them!